User task assignment, fixed and dynamic. There are several ways in which you can assign a User Task to be completed. On the one hand, there is fixed assignation, where you assign a specific user or role to complete a certain User Task. By assigning a specific user, only that user will view in his/her Inbox the task to be completed. On the contrary, if you assign a role, all the users under that role will receive in their Inbox the task to be completed. You can also opt for dynamic assignation in case the process requires it. There are several ways to achieve dynamic assignation: on the one hand, you can use a combo box field (simple or multiselect combo box) whose data source are the Users of the system. In this case, during the execution of the process, a user will select another user from that combo to whom the task will be assigned to. 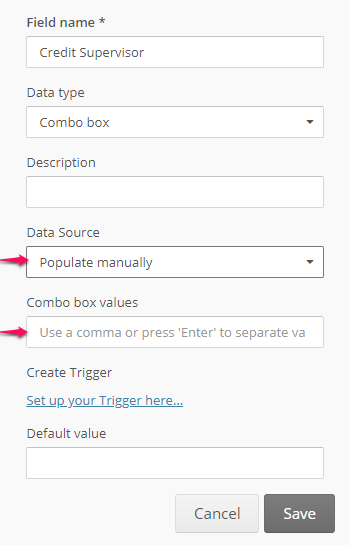 The same happens when the data source of the combo box are the** Roles** of the account. The difference with the users option is that the task will be assigned to a unique role or to several and not to users. 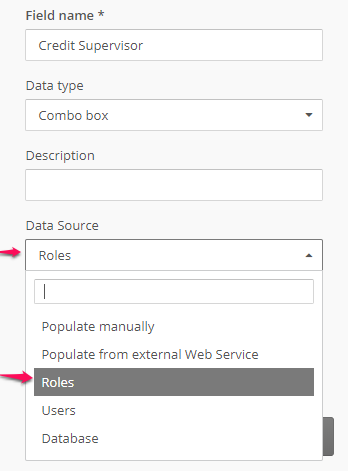 The data source of combo box type fields can be varied, not necessarily Users or Roles. 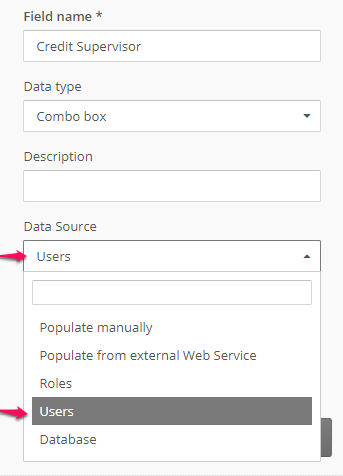 You can also have a combo box whose data source is a database, therefore allowing you to bring the name of certain users/roles or a list of email addresses. Another option is that the data source be populated manually, allowing you to enter the email addresses you want to assign the task to manually. You can assign a task through a Web Service. This is a dynamic assignment, in which the Web Service should return the email of the assignee. Likewise, you can achieve dynamic assignation by using an email address field and then assigning a User Task to that specific field. Keep in mind that if you assign a task to an email address which is not a Flokzu user, and the Interaction with external participants feature is not enabled, the system won’t find a user to assign the task to and it will be assigned to the Administrator. For the case in which you want to achieve dynamic assignation through form fields, instead of selecting a user or role in the Assignees tab, you should select a field (simple or multi-select combo box or email). You also have the possibility to assign a task dynamically to the process initiator. Let&apos;s imagine that the initiator sends the initial form and, after its evaluation, the Appover asks for certain changes to be made or he/she requests for further information. If you assign this task to the process initiator, he/she will be able to make any modifications so that the process can move forward. Likewise, you can assign tasks to previous participants in a process instance. We consider as Previous participants all those users that have taken part in a process instance. To assign tasks to previous participants can be useful to be sure that the follow up of a process instance be made by the users that have actually taken part in the instance. Lastly, you have the possibility to assign tasks to the last participant of a previous task. This special field will assign the new task to the last participant that has completed a task.